To enter the competition, have a look at the different Composable bracelets here and then, let me know in the comments below which one you like the most and what it would celebrate for you – mine was to mark the end of a successful Honours year! For more entries, you can leave your answer on this Instagram image and on the latest post on my Facebook page. I love the Composable Classic Bracelet Rose Gold Plates. This would celebrate a new year with challenges ahead. A lot will happen next year, and this would celebrate a rosy future. Composable Classic Bracelet La Vie en Rose Love.Celebrating the lighter side of life, reminding me to stay young at heart and embrace every moment. Composable Classic Bracelet Promises Love. Celebrating my love, the love I have for others, my significant other, and the love for giving. COMPOSABLE BIG ROSE GOLD STARTER BRACELET, my mom would love this as it is very stylish and like they say simplicity is key ! This would really put a smile on her face on her birthday! Please!!!! I adore the Ready-to-wear Composable Bracelet with Rose Gold Links and this bracelet will be a reminder of all my hard work towards my Bed degree! 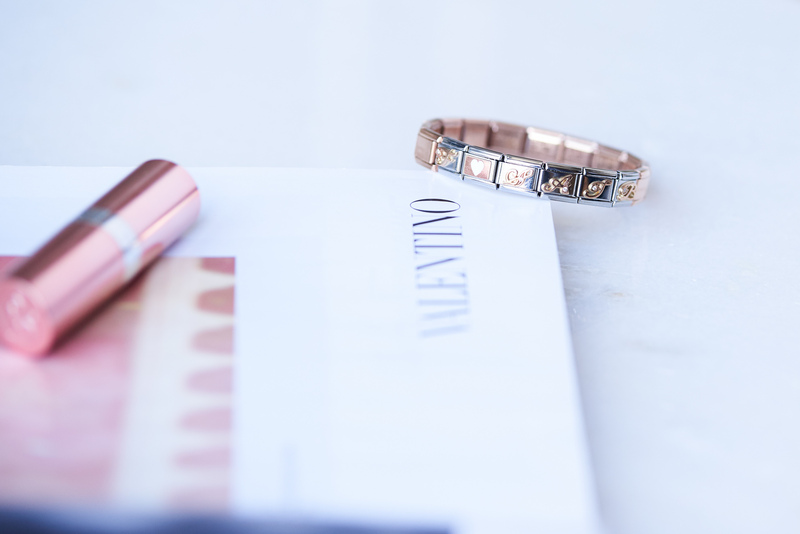 I simply love the Composable Bracelet with Bella la Vita Double Link in Rose Gold. Simply to celebrate how blessed I am for my family and love. Nothing is more important alhamdulillah! I would love the Ready-to-wear Composable Bracelet with Rose Gold Links, rose to mark this year my precious children where born and to remember to celebrate them each and every moment even during those hectic times.